Portofino Copper Golden Brown has a blend of warm, sophisticated copper and golden tones within a mid brown base for a seriously pretty colour outcome. 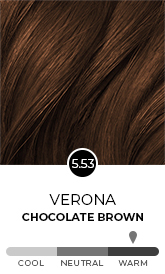 Portofino has deep copper and dark golden tones blended through a brown base, creating a beautiful warm, elegant shade which can suit a range of complexions. 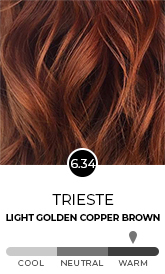 Copper Golden Brown is an accessible and achievable option for classic gorgeousness this autumn and beyond. 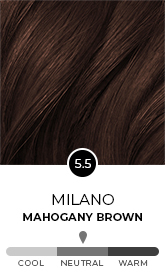 It has hints of old world Hollywood style glamour, in a modernised, flattering finish.